Neither am I here to speak in terms of personal revenge against the Taliban or any other terrorists group. 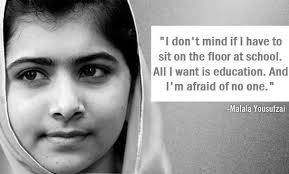 I am here to speak up for the right of education of every child. Dear Friends, on the 9th of October 2012, the Taliban shot me on the left side of my forehead. They shot my friends too. They thought that the bullets would silence us. But they failed. The terrorists thought that they would change our aims and stop our ambitions but nothing changed in my life except this: Weakness, fear and hopelessness died. Strength, power and courage was born. 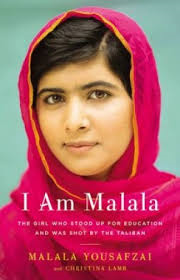 I am the same Malala. My ambitions are the same. My hopes are the same. My dreams are the same. So here I stand…one girl among many.